EASY TO USE! 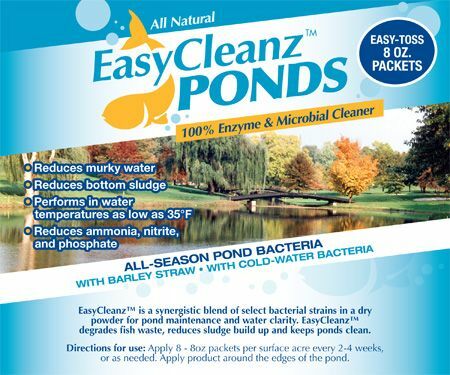 USED TO CLEAN LARGE COMERCIAL PONDS ON GOLF COURSES OR SMALL BACK YARD PONDS. SINGLE BIODEGRADABLE 8OZ PACKETS DISSOLVE UPON CONTACT WITH WATER!